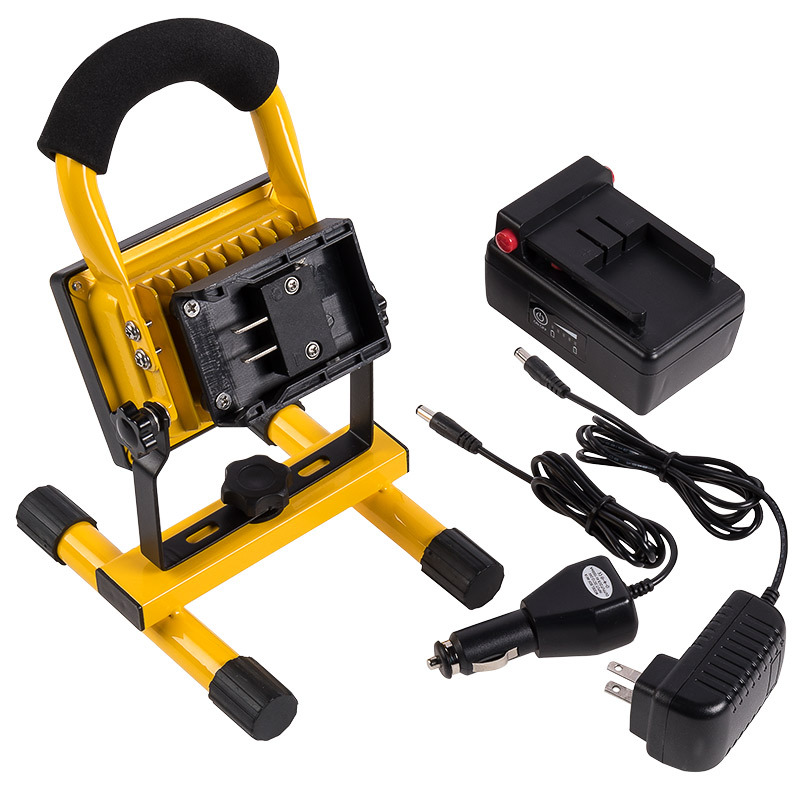 10W Portable Rechargeable LED Work Light w/ USB Charger/Power Bank and Removable Battery - Dimmable - 570 Lum: Showing how the panels are installed in suspension grid. 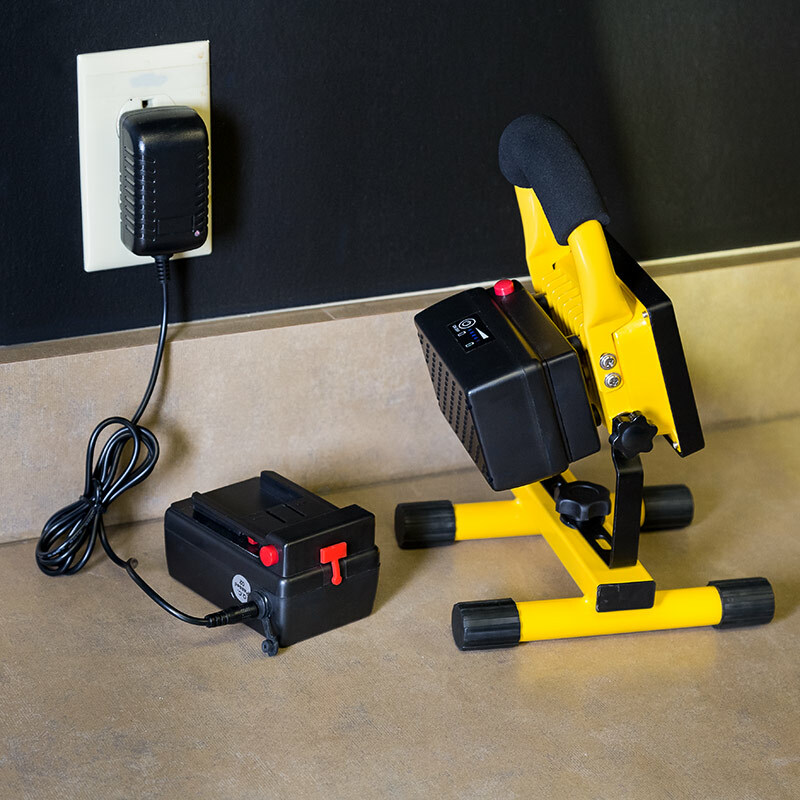 This high-powered, portable LED work light is rechargeable, so you can illuminate any area without the hassle of cords and outlets. 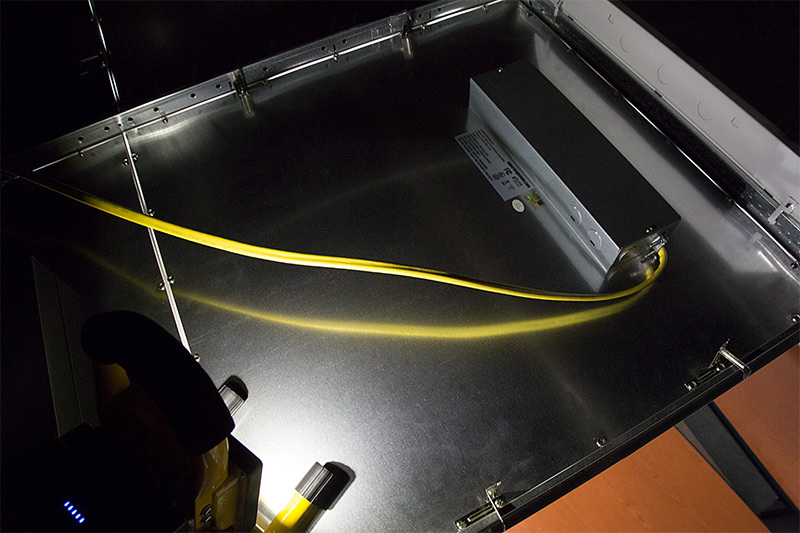 The LED light also has a removable battery that acts as a USB power bank for other electronic devices, such as cell phones, iPads, and more. 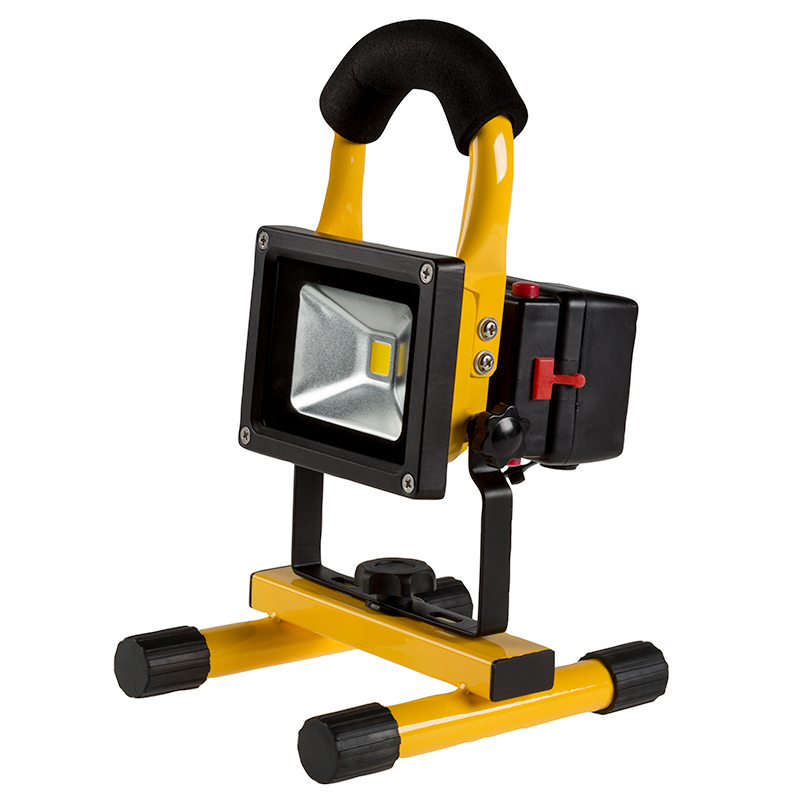 The dimmable 4-1/2" square work light emits 570 lumens of natural white illumination in a wide 120° flood beam pattern. 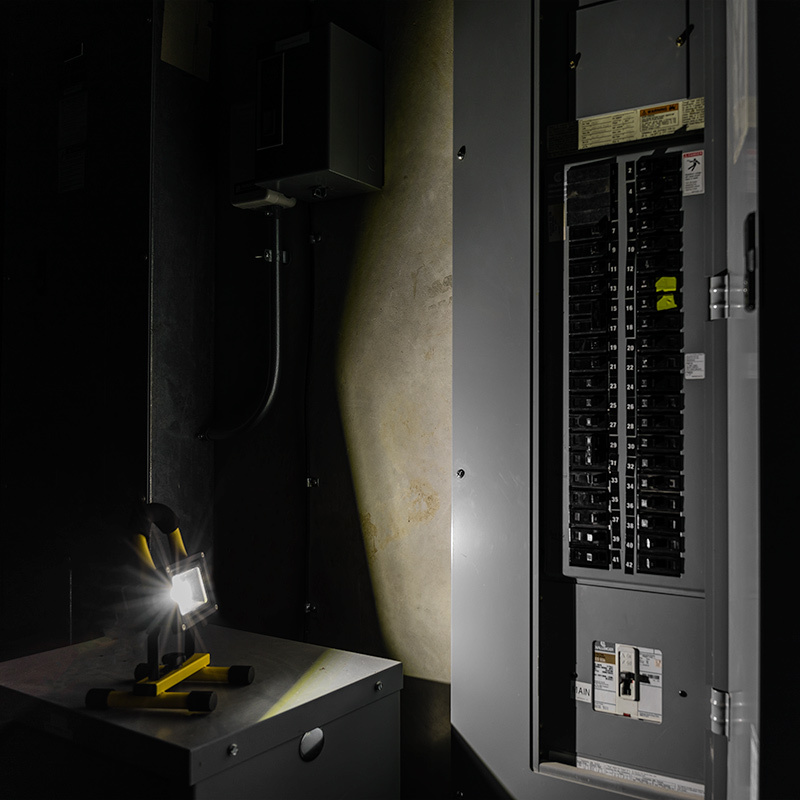 Easily dim the light using the power button located on its battery; choose from 4 dimming levels. 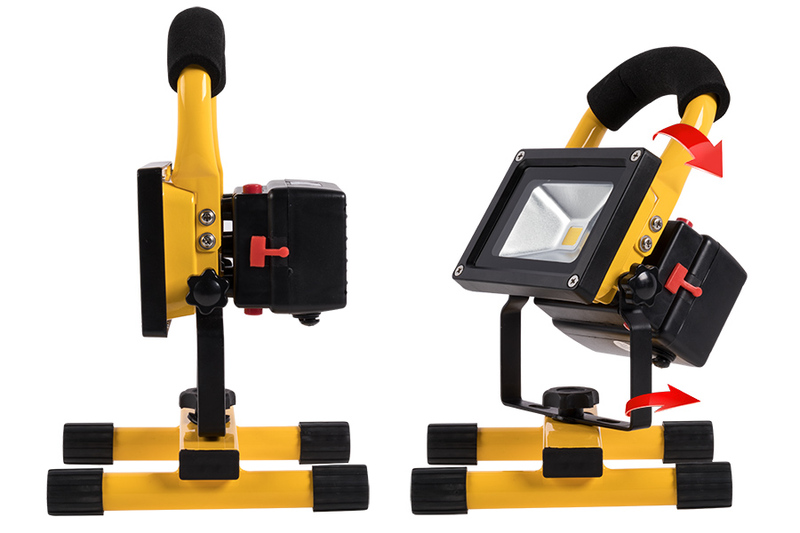 The heavy-duty LED work light is constructed of a weatherproof aluminum housing, tempered glass lens, and a fully adjustable steel tube stand with padded hand grip. 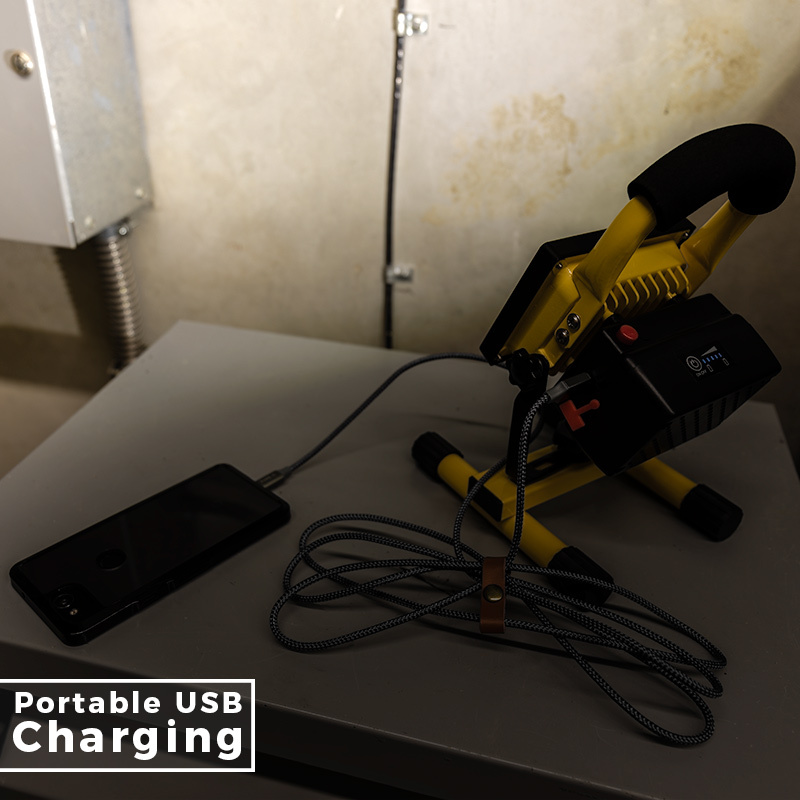 A 4400mAh rechargeable lithium-ion battery provides 3-12 hours of light (depending on dimming level) after 5 hours of charging. 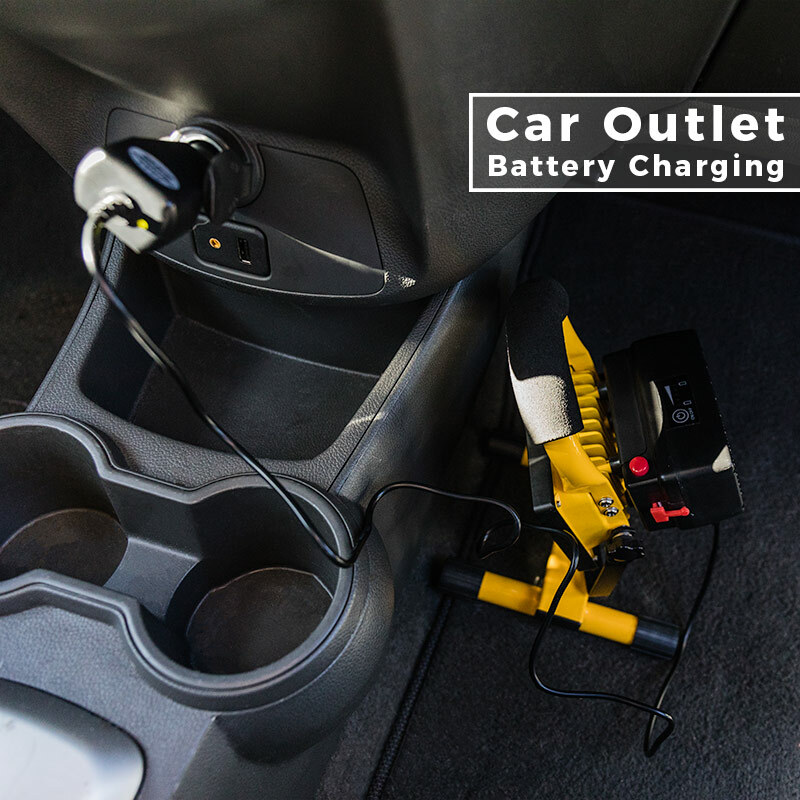 Additional batteries (sold separately) are available and allow for longer use without charging. 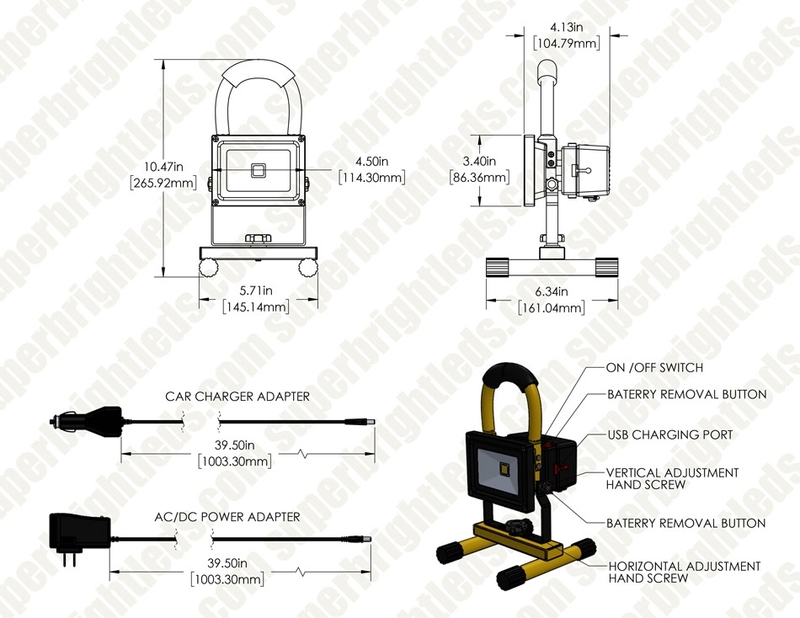 The LED work light operates within a 12-24 VDC or 100-240 VAC range. 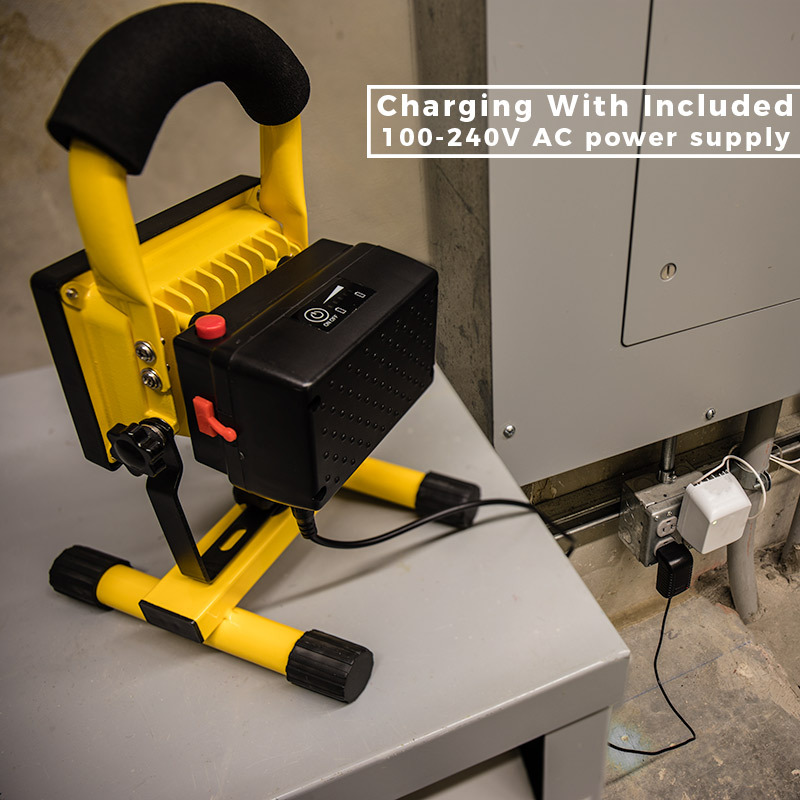 Includes a 3' power cable with cigarette lighter adapter plug and a 100-240 VAC power supply with 4' power wire for indoor use. 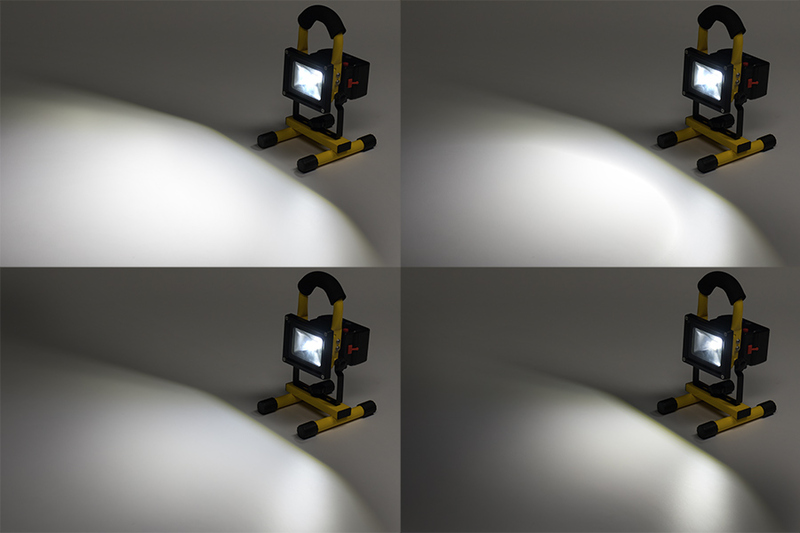 Small product, small price, big light. Overall, great little light. 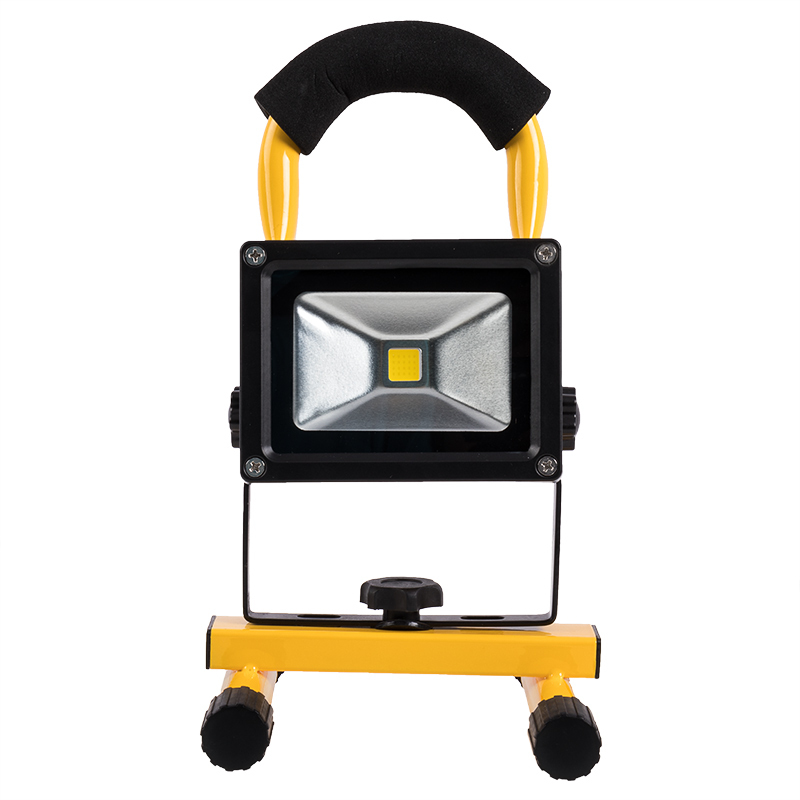 Lots of bright light, easy to use, lightweight, compact. 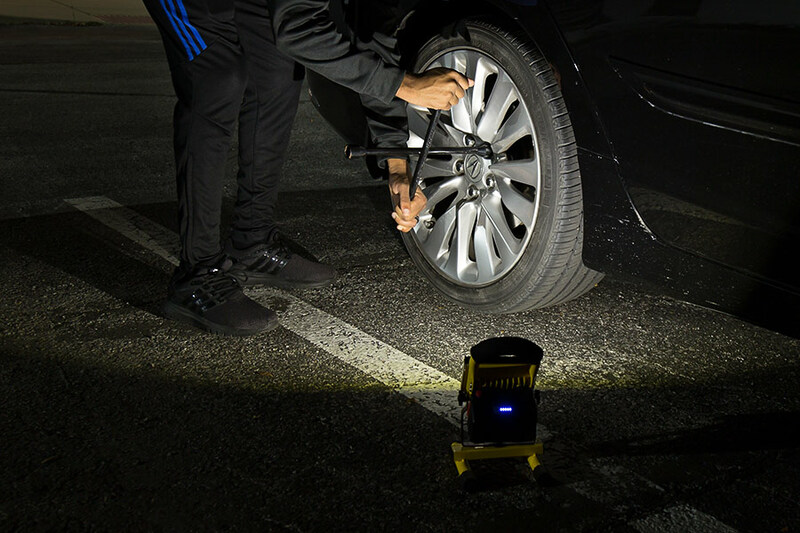 provides an awesome amount of light at Max power, great for power outages and in the vehicle when needed... 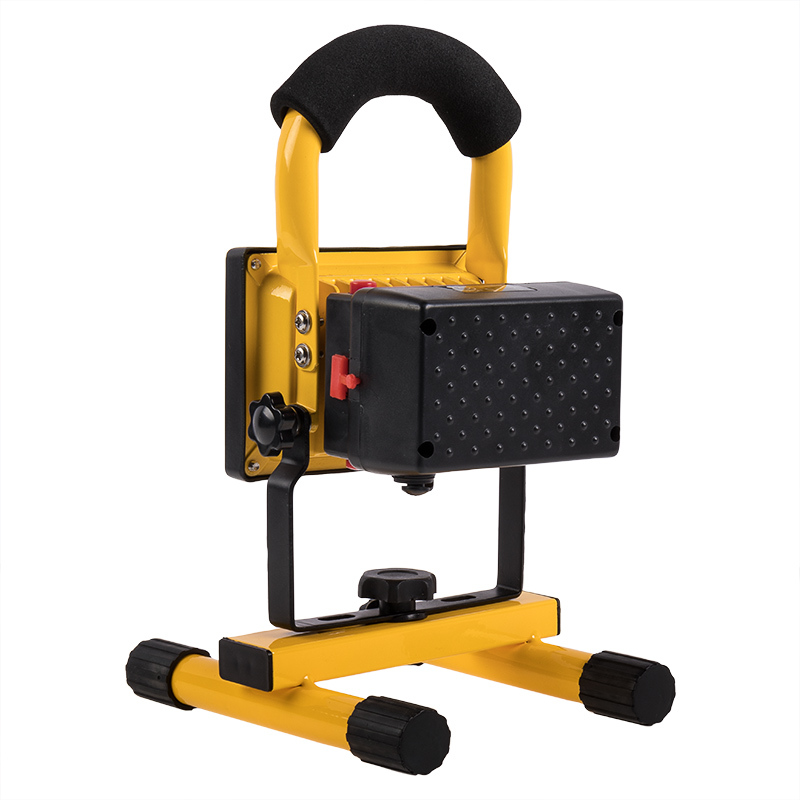 This is a great buy, however, could be a bit less costly.